This short step-by-step guide will show you how to uninstall ESET NOD32 Antivirus from your computer. 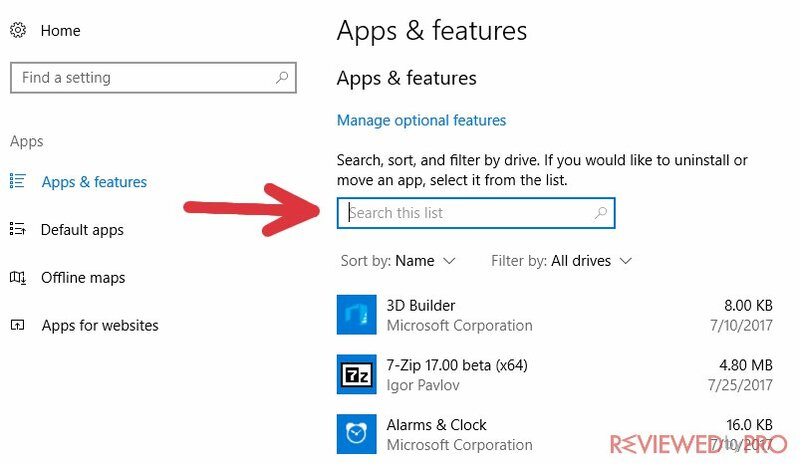 This guide is best suitable for the Windows 10 operational system, but similar steps could be followed to remove the program from other Windows versions too. 1. Make sure ESET NOD32 Antivirus 2017 is not running on your system. 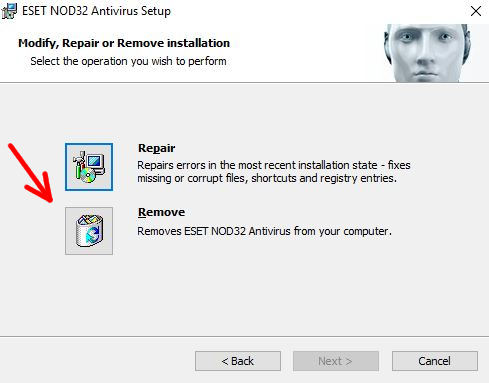 To do that, look in the system tray for the ESET NOD32 logo. Click on it with the right mouse button and press ‘exit’. Then you will have to confirm it in a new window asking you whether you really want to close the application. 2. 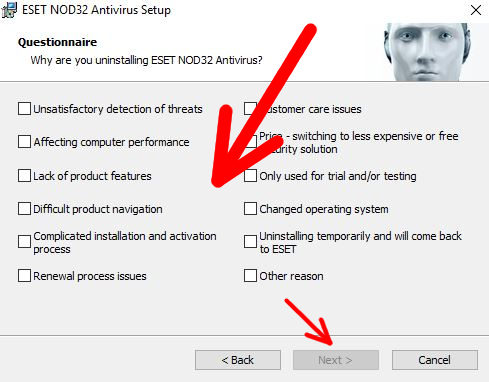 If you wish to continue your ESET NOD32 Antivirus uninstallation, please click ‘yes’. However, on other Windows versions, you could make sure that the program doesn’t run on your system differently. One of the best ways is by using the Task manager. Just press CTRL + ALT + DEL and you will see the possibility to open the task manager. Find the ESET NOD32 program on the running applications list and just press ‘end process’. In some versions of Windows, you will also have to confirm your selection. 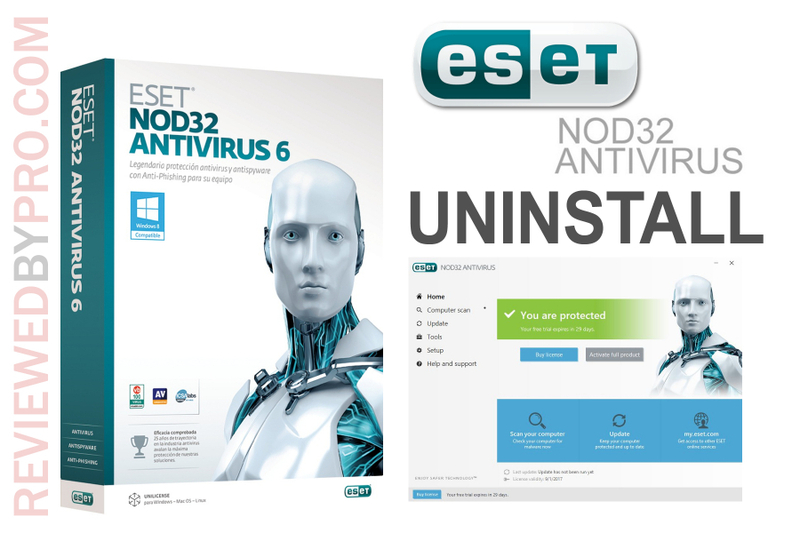 Just do it and the ESET NOD32 application will stop running, so now you will be able to continue your uninstallation process safely. 3. As the application is no longer running on your system, now you will be able to remove it. 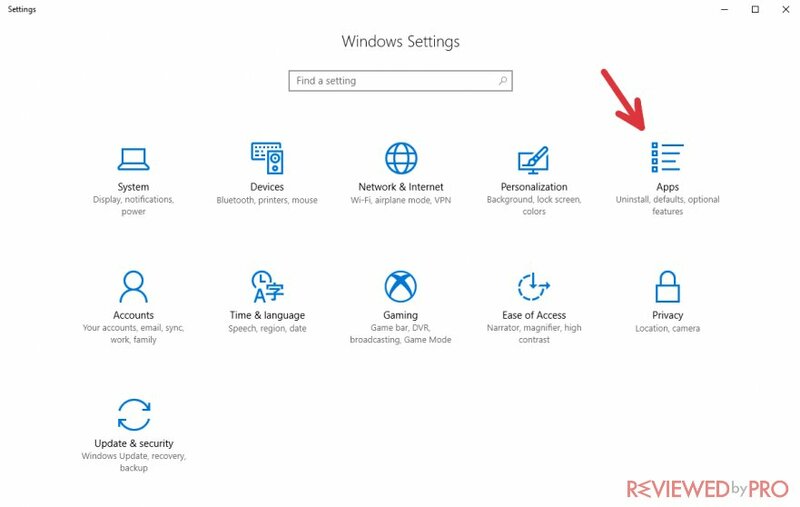 To do that, please click on the Windows logo at the bottom of your page, on the left side. 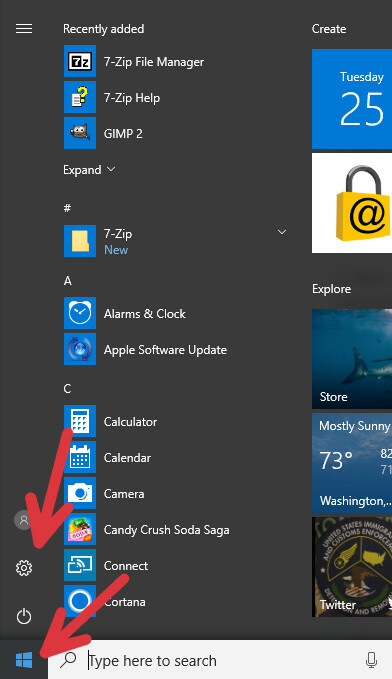 On Windows 10, you will see a gear-shaped icon on the left side of the menu. This icon stands for ‘settings’. Just press on it and you will see a new dialogue with lots of different features. 4. On the menu, you will have to find a section that says 'Apps'. Press on this section. 5. You will see a long list of different applications on your computer and you will have to find ESET NOD32 on it. Type its name into the search bar. 6. Once you do that, press on it and you will have two options – modify or uninstall. 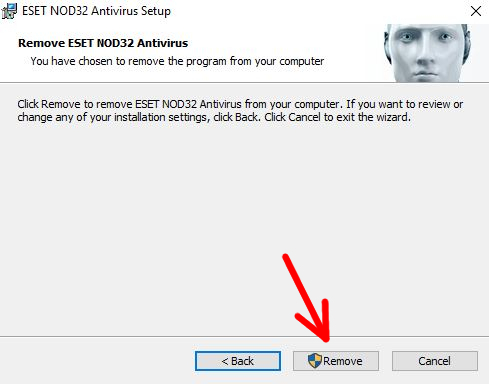 If you really want to remove ESET NOD32 from your computer, just press 'modify'. 7. The Antivirus Setup Wizard will show up. Click 'Next'. 8. You will get an additional dialogue that will ask you whether you want to repair or remove the program. Click on the removal option. 9. 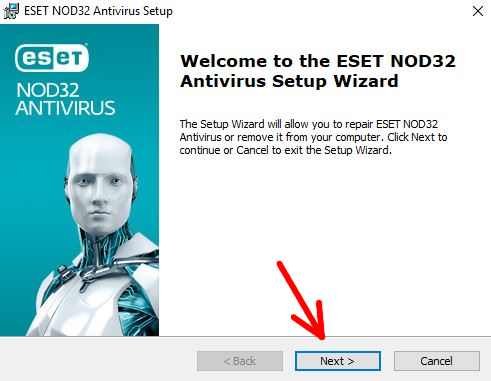 Here you will be able to click 'Next' only when you choose the reason why you uninstall ESET NOD32. Select the checkbox that matches your reason. 10. Now you can click on 'Remove' to finish the uninstallation process. 11. Hit 'Finish'. That's it! Your software has been successfully removed! Now you can install other anti-malware application onto your device.